Boucle or Tweed Trimmed with Faux Fur Hood With Long Grosgrain Ribon Ties. Can also be worn as as a Cloche or Bonnet. 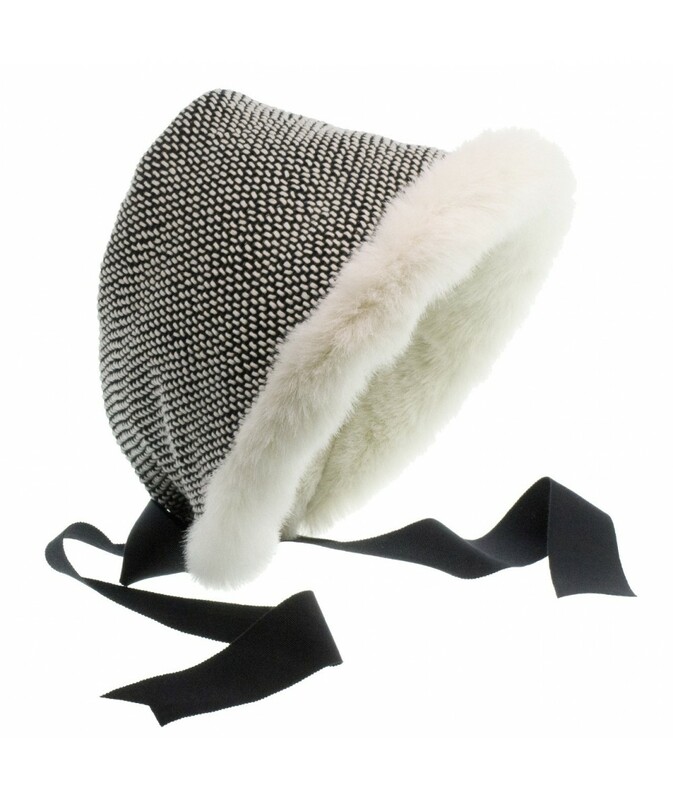 Large Earmuff Headpiece!